LOUISVILLE Appropriate management of early stage breast cancer involves choosing breast-conserving therapy (BCT) — lumpectomy followed by radiotherapy — or mastectomy. Data from multiple studies demonstrate equivalent cure rates for these two approaches, and thus BCT is preferred by the overwhelming majority of patients. The challenge has been to ensure access to radiotherapy (RT), as it improves local control and long-term survival for nearly all BCT patients. In the US, reports regarding RT application contain estimations that vary widely (range: 65–95 percent). Analyses of national database studies indicate that the lowest relative rates of RT exist in sparsely populated regions, especially the Southeast. How big is this problem in Kentucky? In 2009, data analyzed for 12,000 women who underwent BCT between 1998–2007 showed the rate of RT to be a dismal 66 percent1. Not surprisingly, the rate was even lower for elderly, rural, minority, and uninsured patients. Why is providing RT such a challenge? 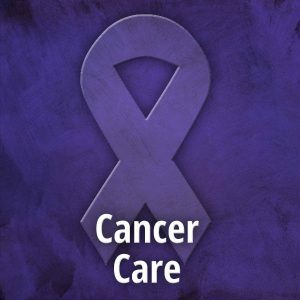 Because RT is the only oncology service that has traditionally required a commitment to daily treatments over the course of six-to-seven weeks. For patients who depend on limited public transportation options, or who travel up to 50 miles oneway for each treatment, RT is unfeasible even for the well-insured due to extraordinary cost borne directly by patients (transportation, time away from home and work). Unfortunately in the US, development of alternative RT strategies is hindered by the mal-incentives of our fee-for-service system. For RT, payors reimburse providers based on the number of treatments rather than complexity, quality, or diagnosis. In countries with centralized health care, such as the United Kingdom and Canada, physicians have long used “hypofractionated” radiotherapy (HFRT), which halves the total dose and the number of treatments2–4. Long-term data from trials involving 7,000 patients show equivalent results, enabling shorter total treatment time, enhanced convenience, and lower cost. Although three weeks of daily HFRT is a significant improvement over the six-to-seven week traditional RT course, the daily therapy requirement continues to present barriers to underserved populations in regions with scarce oncology resources. The favorable results from HFRT trials have emboldened our British colleagues to “push the limits” of HFRT by investigating once-weekly regimens4. Early Phase III results show toxicity, cosmetic outcome, and efficacy of this approach to be comparable to traditional RT. Given these promising results and our patients’ needs, in 2011, the James Graham Brown Cancer Center became the first institution in the US to offer a Phase II trial of once-weekly HFRT for women with early breast cancer6. To date, we have enrolled over 150 patients, with a goal of accruing 250. Two interim analyses showed that the regimen has fewer side effects and comparable cosmetic outcomes to traditional RT. In terms of costs, once-weekly HFRT is much less expensive ($2,901) than daily HFRT ($8,567) or traditional RT ($10,815). Most importantly, our patients have been very pleased with the convenience of this approach, and many have traveled over 100 miles to participate. Most have said that, had it not been for this trial, they would have either have risked going without RT or have had a mastectomy. Due to its popularity, we will roll out additional accrual sites in the Commonwealth through the KentuckyOne Health network in the coming months. As data matures we are optimistic that once-weekly HRT will eventually become a standard option for the treatment of breast cancer. Disparities in the provision of breast cancer care represent microcosms of the widening “health care gap” between wealthy and poor, urban and rural populations. Incentive programs that improve quality and access must also be pragmatic and cost-effective. Ultimately, oncologists must educate fellow physicians to expand the use of more patient-centric alternatives to the status quo. Right now, once-weekly HFRT should only be delivered on a clinical trial, however daily HFRT is a step in the right direction and its use should be widely implemented as a crucial component of the next generation of breast cancer therapy. Dragun AE, Huang B, Tucker TC, Spanos WJ. Disparities in the application of adjuvant radiotherapy after breast-conserving surgery for early stage breast cancer: impact on overall survival. Cancer. 2011 Jun 15;117(12):2590–8. Whelan T, Pignol JP, Levine M, et al. Long-term results of hypofractionated radiation therapy for breast cancer. N Engl J Med. 2010;362:513–20. Haviland JS, Owen JR, Agrawal RK, et al. The UK Standardisation of Breast Radiotherapy (Start) trials of radiotherapy hypofractionation for treatment of early breast cancer: 10-year follow-up results of two randomised controlled trials. Lancet Oncol 2013; 14: 1086–94. Yarnold J, Bentzen SM, Coles C, et al. Hypofractionated whole-breast radiotherapy for women with early breast cancer: Myths and realities. Int J Radiat Oncol Biol Phys. 2011;79(1):1–9. “ASTRO releases list of five radiation oncology treatments to question as part of national Choosing Wisely campaign.” Choosing Wisely. ASTRO, 23 Sept. 2013. Web. 1 June 2014. <http://www.choosingwisely.org/astro-releases-list-of-five-radiation-oncology-treatments-to-question-as-part-of-national-choosing-wisely-campaign. Dragun AE, Quillo AR, Riley EC, et al. A phase 2 trial of once-weekly hypofractionated breast irradiation: First report of acute toxicity, feasibility, and patient satisfaction. Int J Rad Oncol Biol Phys. 2013; 85(3):e123–8. 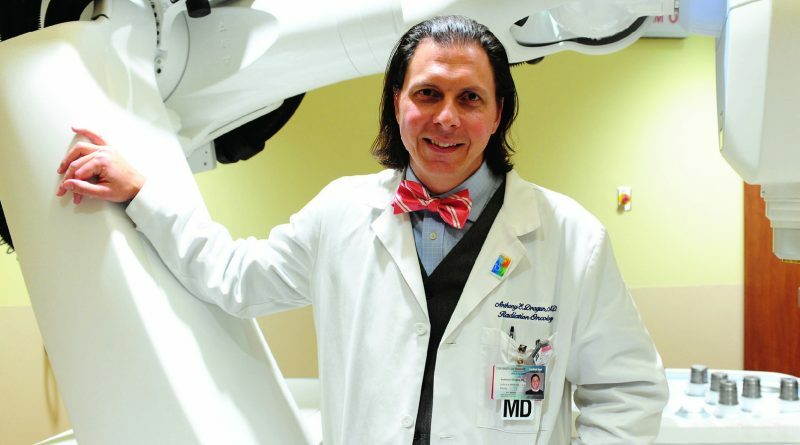 Anthony E. Dragun, MD, is associate professor of radiation oncology for the University of Louisville School of Medicine and James Graham Brown Cancer Center and a radiation oncologist with University of Louisville Physicians. 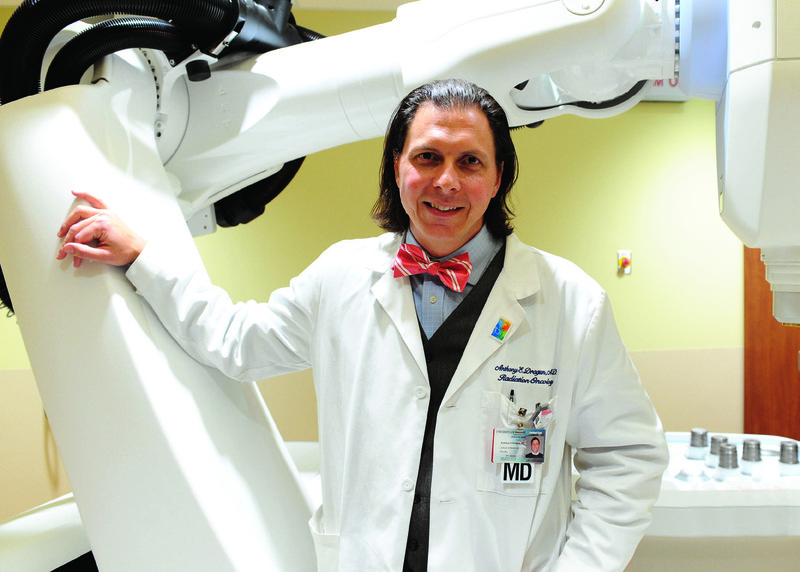 He recently presented his trial findings at the Breast Cancer Symposium 2014 in San Francisco, California.